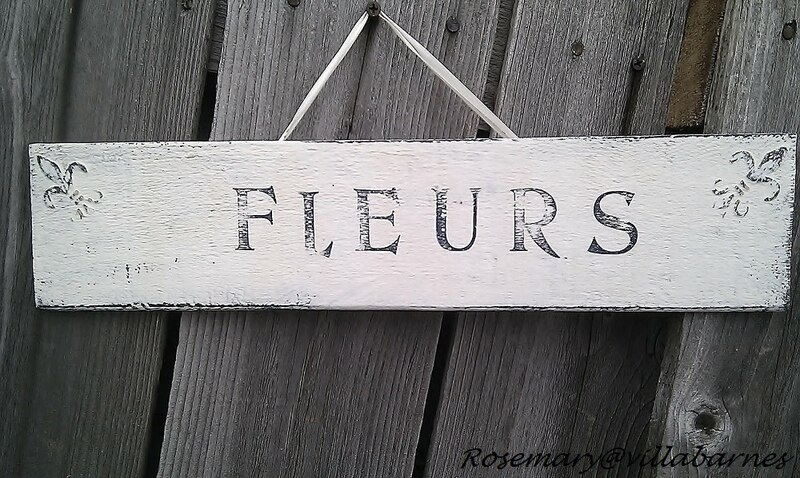 I created this sign with a discarded piece of wood, thickened paint, wood filler, a fleur de lis stencil, and vintage rubber letter stamps. I used wood filler for my dimensional fleur de lis images. You can review the dimensional technique HERE. I applied multiple layers of black paint first. I then followed with two coats of white paint, to which I added a thickening agent. 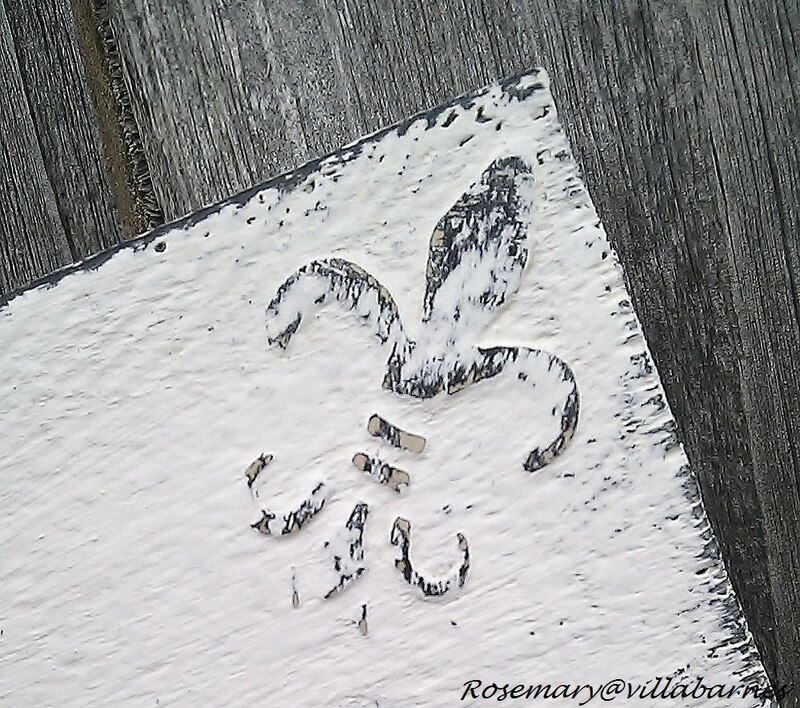 Next, I gave it a little sanding, to show the undercoat, and highlight the fleur de lis. 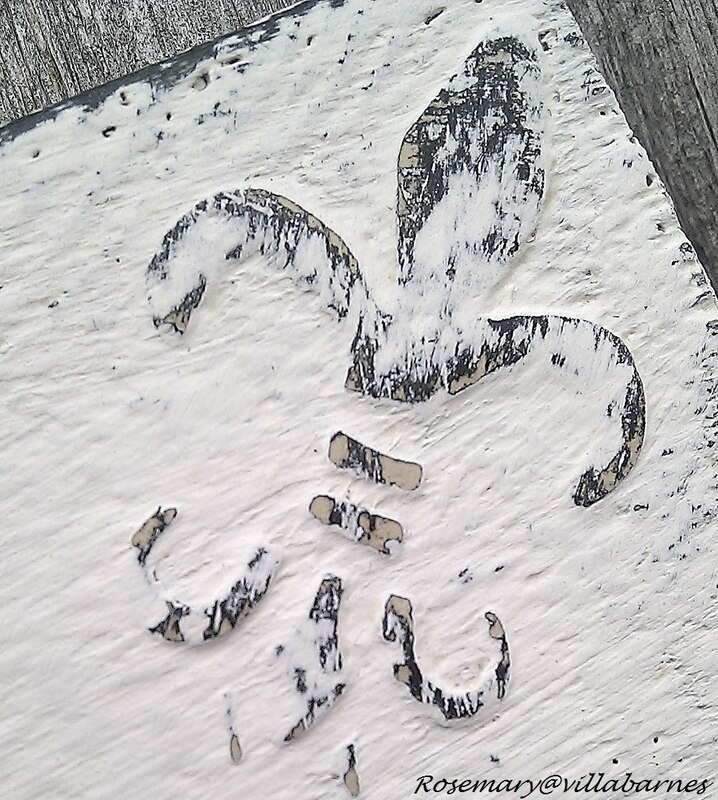 It makes the fleur de lis look like it's embedded in the surface. After stamping "Fleurs" with black archival ink, I sealed the surface with wax. I'm off to make more, and finish up a few furniture redesigns. Another charming creation! Very appropriate for Spring coming up too. Sweet Rosemary, I sure wish I was outside in the 74 degree weather with my flowers. Very nice. Ah... and more to come, that's great. Love the sign. Rosemary, it is beautiful as all your things are! Love it and your awesome technique!! What you're doing with plain old pieces of wood is simply amazing! Thanks for the info. on this technique. Very pretty, Rosemary! I could just see this hanging on a garden gate, too! I must say, another fabulous design. I need to find a way to get to Illinois! p.s. Link is open, come on by! You always make the most simply beautiful things- I'm always thinking, why didn't I think of that! Thanks for being such a continuous source of inspiration! 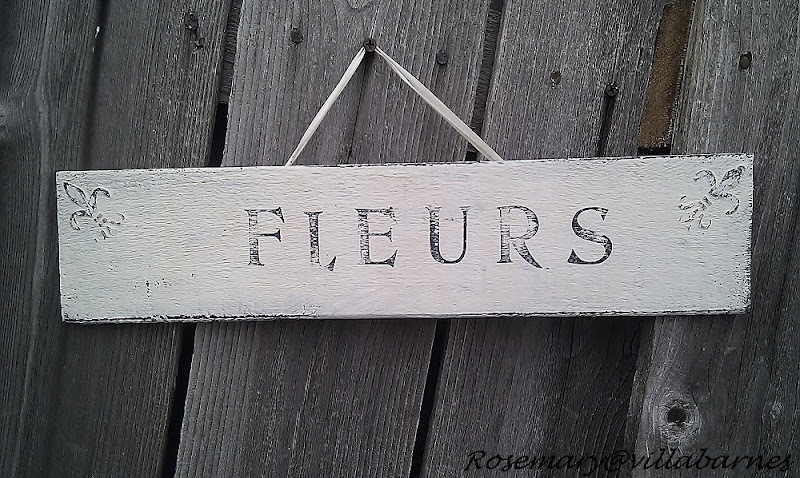 What a beautiful sign and a great idea for making the stencil 3 dimensional....You are so talented! Love your sign!! You are so patient to go through all of those steps, but it sure was worth it. I'll be back. I'm your newest follower!! And thank for being my first "commentor" for my post this week. Love it! I've got to try your dimensional technique. Love the sign! I like the fact that the fleur de lis is raised...it gives it some dimension. As always, another beautiful piece! This is so pretty. I'm curious if you have a Cajun background because you use the fleurs de lis occasionally. I love it! Very pretty. Such a pretty sign! You did a fabulous job. What a pretty sign! It really does look like the letters are embedded. I popped over from Funky Junk, and I'm glad I did. You have a really nice blog. Catching up on all your posts! What an awesome sign. I love the simplicity.....yet so beautiful! Beautiful! What did you use to thicken the paint? Gesso? Spackle? I'm new at this. Thanks.